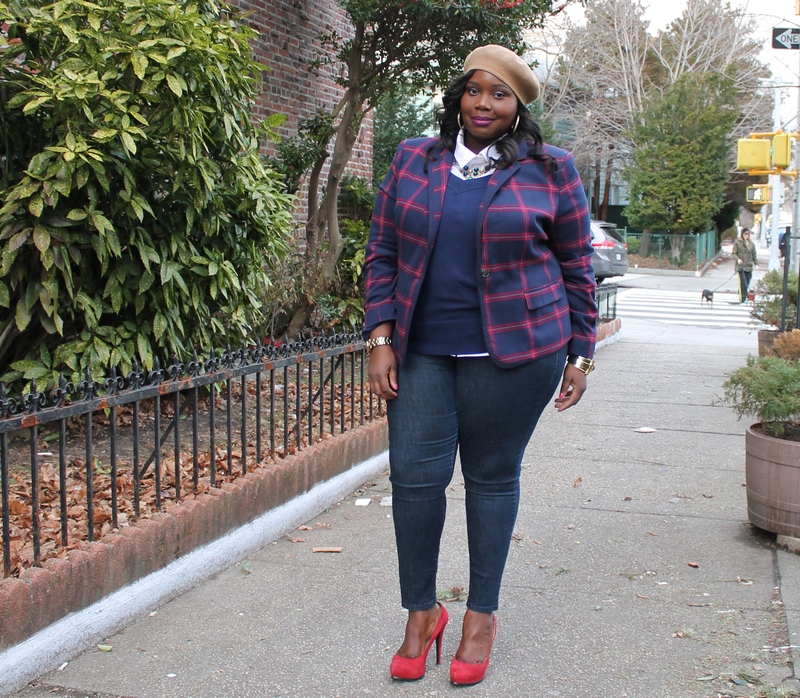 When it comes to layering during the winter months do you shy away from it or are you a layering queen? Years ago I used to shy away from layering because I thought it was going to make me look bigger.I even hated wearing heavy sweaters because they added bulk. 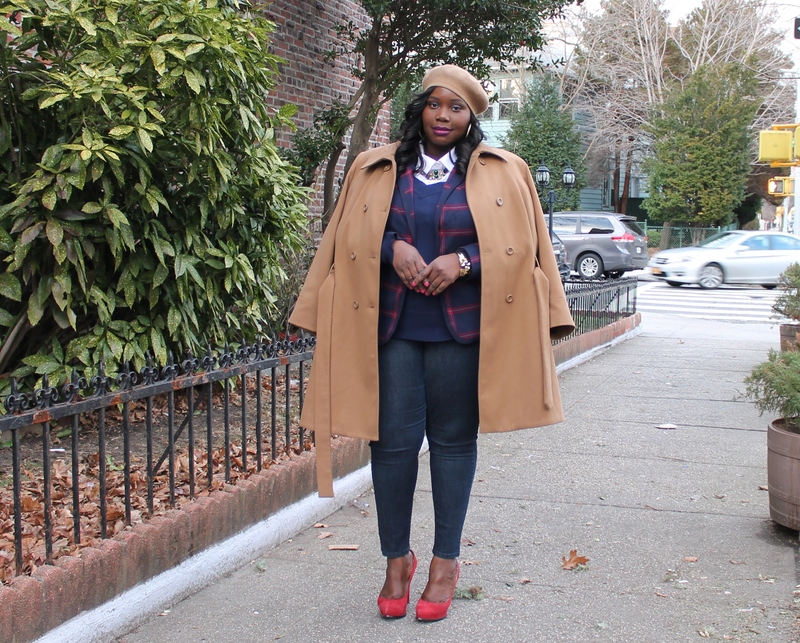 Fast forward to now and my feelings about layering has changed. At this point, when it comes to dressing, I could care less whether or not something makes me look bigger. My confidence level is in a better place now. As with anything in fashion, you just need to find what works best for your body. 1.Choose thin light weight fabrics. 2. Make sure each pieces flows together. Below is my YouTube video on how I layer during the winter. I read this article and found it very interesting, thought it might be something for you. The article is called PLUS SIZE STYLE: WINTER LAYERING TIPS (VIDEO) and is located at https://stylishcurves.com/plus-size-style-winter-layering-tips-video/. I LOVE this look. 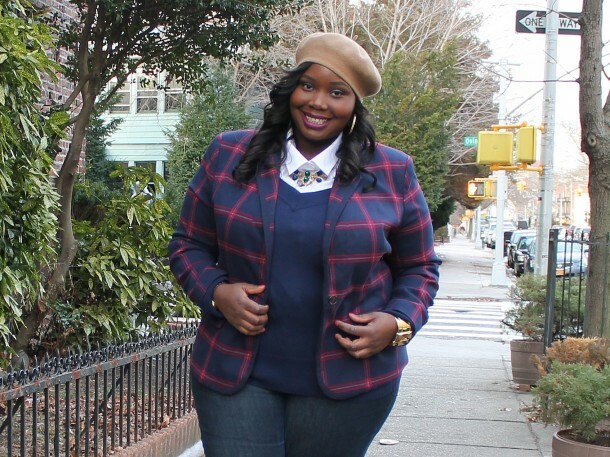 From the tam to the coat, to the plaid blazer. I’m loving it. 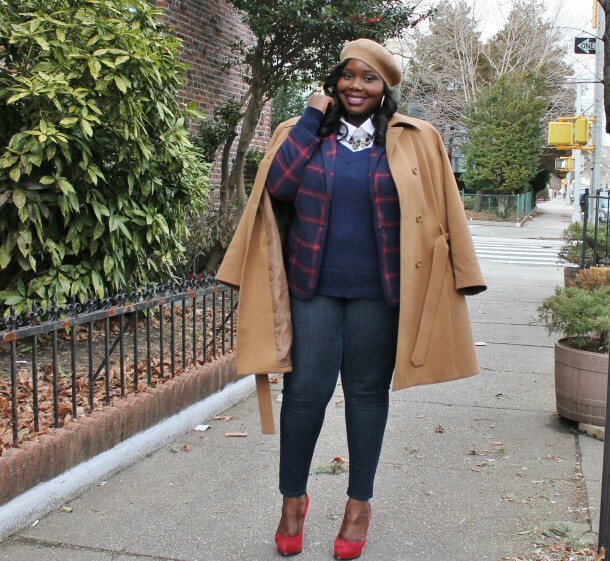 Great layering tips too! This outfit is so great and you look beautiful and confident.